ForeFlight offers European VFR and IFR pilots the combination of powerful planning and filing capabilities, state-of-the-art hazard awareness features, and Jeppesen’s world-class data and charts in one integrated app. HIGH WYCOMBE, UK | 11 June 2018: ForeFlight today announced that its flagship Integrated Flight Application is available now in Europe. ForeFlight’s powerful features combined with Jeppesen’s world-class aeronautical data products gives pilots a single solution for charts, documents, weather, route planning, briefing, filing, and flying. ForeFlight Mobile is the most widely used application by individual pilots and professional flight crews to view weather and airport information, plan and file EUROCONTROL validated routes, access and manage electronic charts and maps, reference flight manuals and documents, avoid terrain and obstacles with state-of-the-art hazard awareness tools, display in-flight traffic (and weather, where supported), and aid enroute navigation. All subscription plans with the Europe region include Jeppesen’s best-in-class digital VFR and IFR navigation data, which are dynamically rendered directly on ForeFlight’s data-driven (vector) Aeronautical map, as well as AIP procedures, charts, and documents provided via EUROCONTROL. Optional purchases include Jeppesen VFR terminal procedures (formerly Bottlang charts), Jeppesen IFR chart coverages, and host nation VFR data packages – initially with an option to add charts and procedures for Germany from DFS. Additional host nation VFR packages will be added in the coming months. 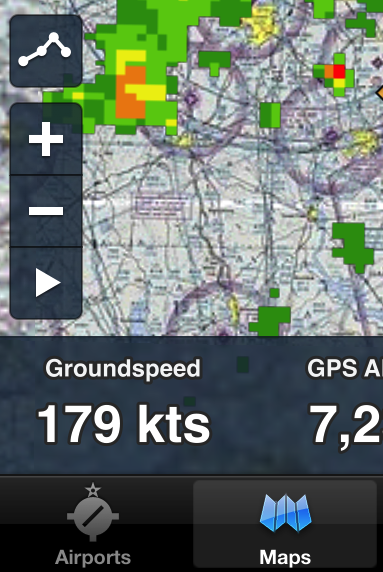 ForeFlight will be on display for demonstration at the AeroExpo UK in High Wycombe June 14-16 (stand A28). For IFR flyers, optional Jeppesen chart coverages are available and include departure, arrival, and geo-referenced terminal procedures, airport charts, data-driven enroute charts, and Jeppesen Airway Manual supplements. ForeFlight makes preflight planning fast and easy using the form-based Flights view or the interactive Map. The Graphical Route Advisor feature generates EUROCONTROL validated routes within a matter of seconds and presents the options for comparison on a visual preview map. 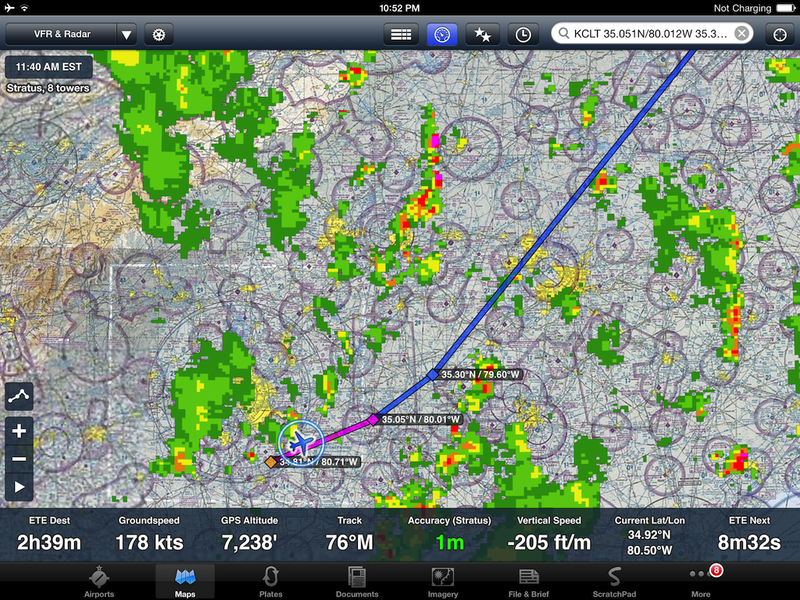 ForeFlight supports filing flight plans directly from the mobile app or on the web. The company’s global, redundant AFTN connection provides fast, direct, and unlimited access to filing flight plans with EUROCONTROL with no additional cost or account configuration required. Additionally, when filing flight plans via ForeFlight, customers receive Calculated Take-Off Time (CTOT) notifications via email and push when traffic management initiatives are in effect. Also, planning for and navigating through the complex airspace in Europe is easier with ForeFlight’s new Airspace in Profile and Automatic Airspace Highlight capabilities. The planned route line can be viewed in relation to a full range of interactive aviation weather layers, including animated radar, global satellite and winds aloft, color-coded METARs and TAFs, graphical AIR/SIGMETs, global icing and turbulence, surface pressure isobars, and more. Once in the cockpit, the Maps tab transitions from a comprehensive preflight planning tool to dynamic inflight navigation support. For the ultimate situational awareness, the innovative Plates on Maps feature overlays approach plates and airport diagrams onto the moving map, along with aircraft position, weather, and hazards in one integrated view. In addition to AHRS, ForeFlight’s Connect platform enables portable and installed avionics to connect with ForeFlight Mobile and deliver capabilities like two-way flight plan transfer, and the display of ADS-B traffic and GPS data. In addition to Plans for Business Aviation Operators, which are detailed at here, ForeFlight offers three plan levels for personal aviation pilots (individual): Basic Plus, Pro Plus, and Performance Plus. For as little as €94.99 / £79.99 excluding VAT per year, ForeFlight’s Basic Plus plan gives VFR pilots in Europe all they need to plan, file, and fly. The Basic Plus plan (€94.99 / £79.99 excluding VAT per year) includes Jeppesen VFR and IFR navigation data, Jeppesen global airspace information, AIP charts and documents provided via EUROCONTROL, data-driven Aeronautical Maps, flight planning and filing on mobile and web, graphical preflight briefing, aviation weather, airport business directory, avionics connectivity, built-in documents catalog, Weight & Balance, Checklist, and more. The Pro Plus plan (€179.99 / £159.99 excluding VAT per year) includes everything in the Basic Plus plan, plus geo-referenced approach and taxi charts, Charts on Maps, Profile View with Airspace, Terrain, and Obstacles, and Synthetic Vision. The Performance Plus plan (€269.99 / £239.99 excluding VAT per year) includes everything in the Pro Plus plan, plus access to a powerful suite of advanced planning features, including a built-in library of detailed aircraft performance profiles that produce the most accurate flight time and fuel burn calculations, a sophisticated flight planning engine that generates optimized routes between any two airports in the world, fuel and payload planning, automatic fuel and weight safety checks, integrated contract jet fuel pricing, and more. All plans include one region: Europe, US, or Canada. Additional regions can be added for €90 / £80 excluding VAT per year. Pricing for Jeppesen IFR chart coverages can be viewed online at foreflight.com/jeppesen. Jeppesen VFR Procedures (formerly known as Bottlang Charts) can be purchased for €49 / £41.60 excluding VAT per year for one country, or €99 / £83.37 excluding VAT per year for all Europe. The National package for Germany, the DFS VFR AIP + Charts bundle, can be purchased as an add-on for €90 / £80 excluding VAT. The DFS VFR AIP alone can be purchased for €50 / £45 excluding VAT. The DFS VFR Charts can be purchased separately for €45 / £40 excluding VAT. The Operational Suitability evaluation was completed on an iPad 2, however the approval covers the iPad 2 or newer, iPad Mini, and iPhone 3GS or newer hardware. In related efforts, the co-developed Stratus 2 ADS-B receiver with Appareo Systems has received approval for use in Part 121 aircraft operations. The Stratus platform enables the display of ADS-B weather on iPad and iPhone running the ForeFlight Mobile app, as well as WAAS-grade GPS positioning for ownship display. Professional operators with access to inflight weather routinely report saving thousands of pounds of gas by being able to see ahead and work with flight operations on inflight re-routes. In the United States, operators falling under FAR Part 91K, 121, 125, and 135 are required to have formal FAA authorization to use EFB solutions inflight. This letter makes it even easier for operators to obtain approval for use of ForeFlight Mobile on iOS devices. ForeFlight will share copies of the letter to interested customers seeking this approval. For more information about obtaining ForeFlight Mobile and Stratus approvals, contact ForeFlight at sales@foreflight.com. KLAL in the new digital format. KLAL in the old scanned format. KAUS in the new digital format. KAUS in the old scanned format.